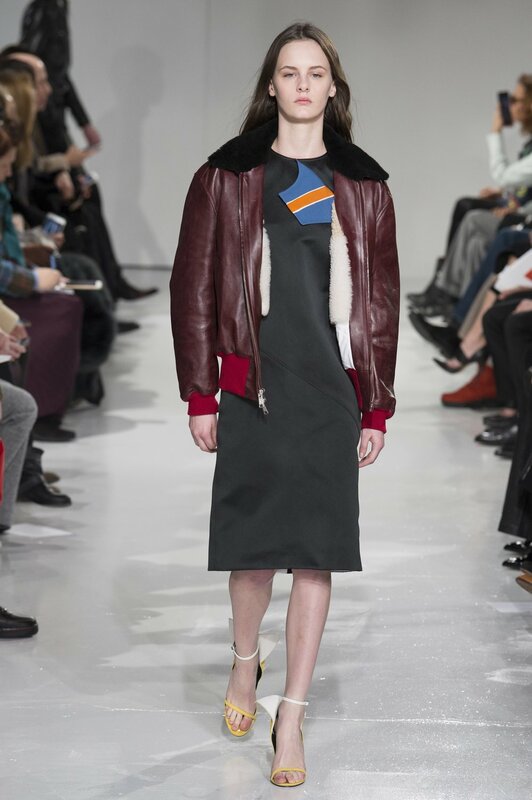 A new era at Calvin Klien may just end up being a new era in American fashion. 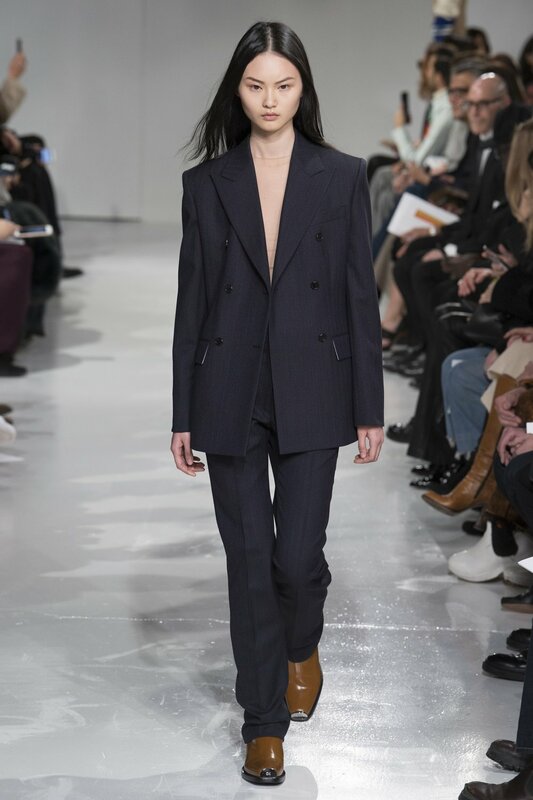 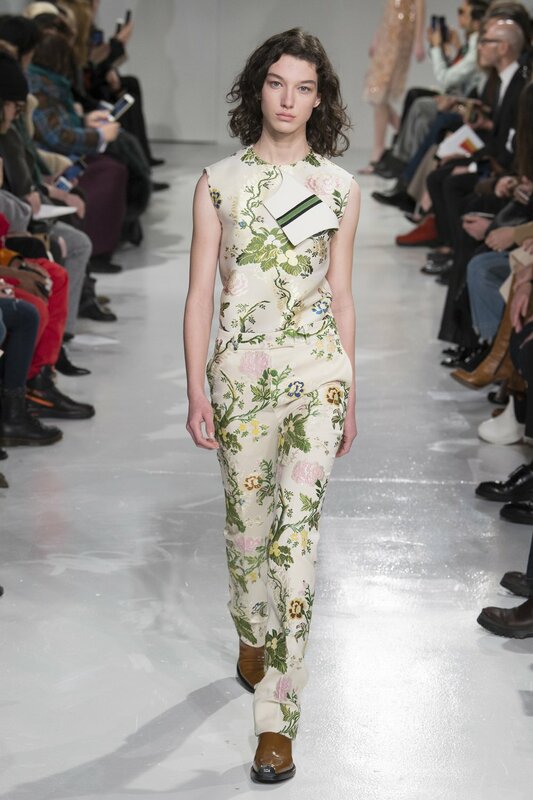 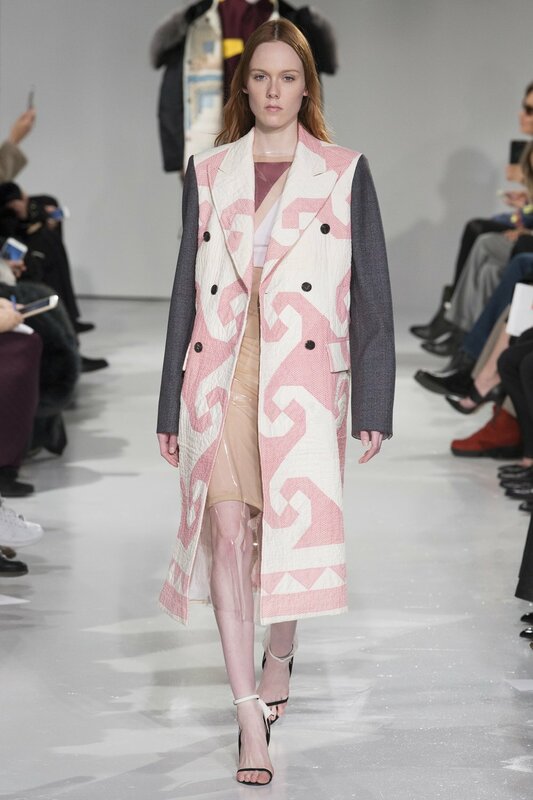 Raf Simons who by any measure is a master of his domain be it in the form of menswear or womenswear have been teasing a newly minted Calvin Klien with couture appeal. 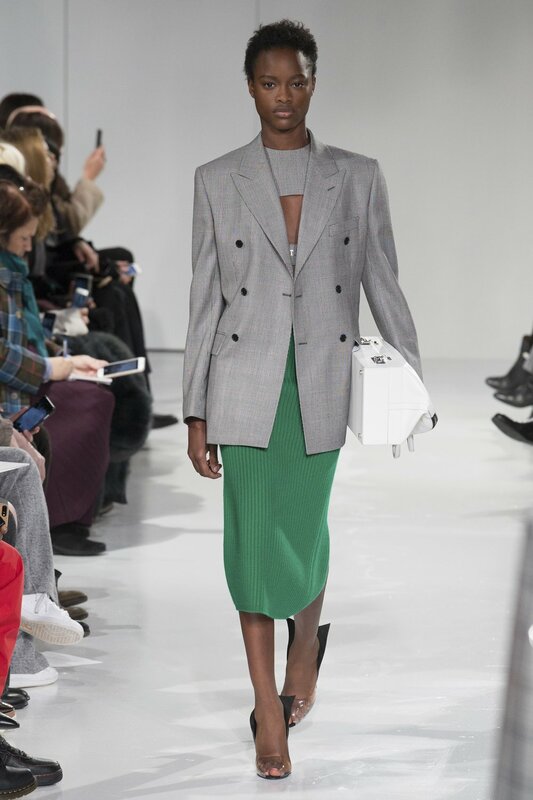 And today watching the new Calvin Klien show suggests that a revival of Americana is in full swing in the hallowed halls of Calvin Klien, one of the most respected and iconic American fashion houses. 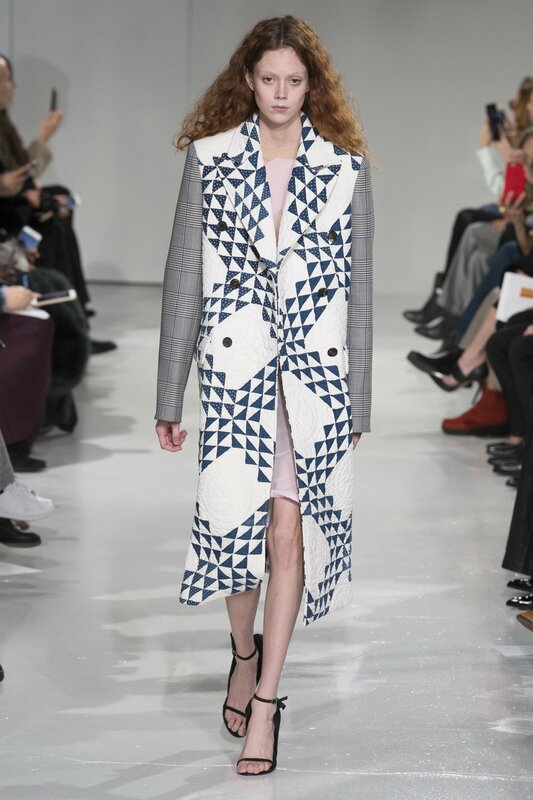 From Sheriff's jackets to Banker coats Raf Simon carved out a form of functional couture that has not been present in American fashion. 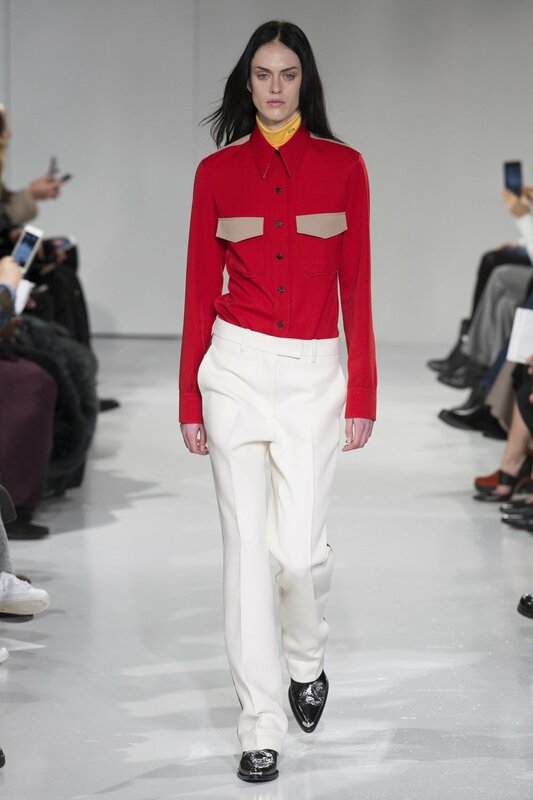 His own brand's influence was there, so was the influence of Dior and Helmut Lang but to call this collection a synthesis would be to do injustice to it. 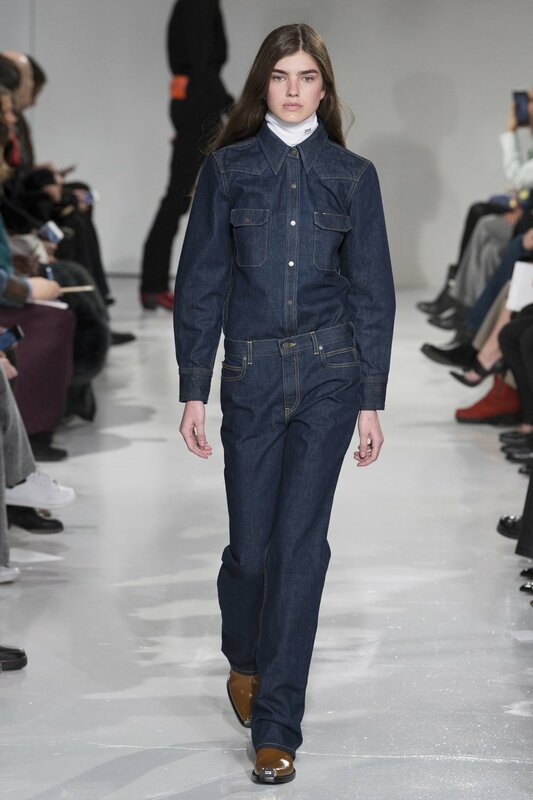 It is a collection built on a synthesis of years of slaving away in the atelier, a synthesis bloomed into a wonderful form of expression and in many ways the savior of Americana in denim and everything in between.